Savage reflected on recent violent events committed by left-wing activists in Portland, OR. The solution to leftist-driven criminal violence is “law and order,” said Savage. Savage was physically attacked by a leftist in March of 2017 while dining at a restaurant in San Fancisco, CA. Savage warned of possible reciprocation of violence against leftists. Savage described Sen. Bernie Sanders (I-DT) as a “Marxist” who deliberately incites “his base” to use violence and intimidation in pursuit of political ends. 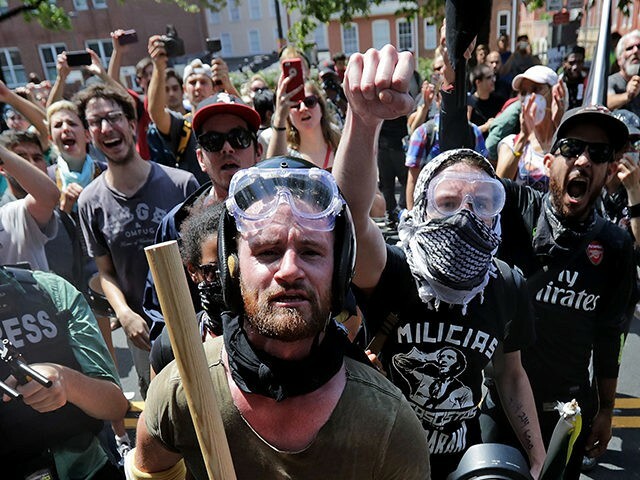 Sanders refused to condemn violent and harassing behavior from Antifa and other left-wing groups during a Sunday interview with CNN’s Jake Tapper. Savage called for the arrest of Antifa’s leadership, noting George Soros’s funding of left-wing activist groups engaged in street campaigns. “Communist mayors of demented cities” are enabling Antifa’s violent street campaigns, concluded Savage.